Isezakicho-dori in Yokohama, Kanagawa. People walk under colorful decorations for a festive event. 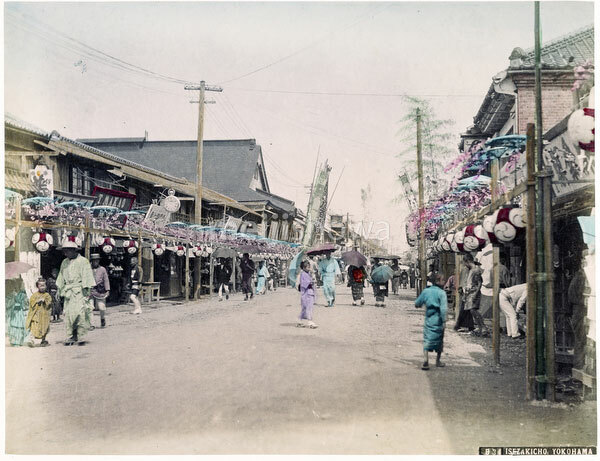 The street was famous for its many theaters and was called Theater Street by the foreign population of Yokohama.